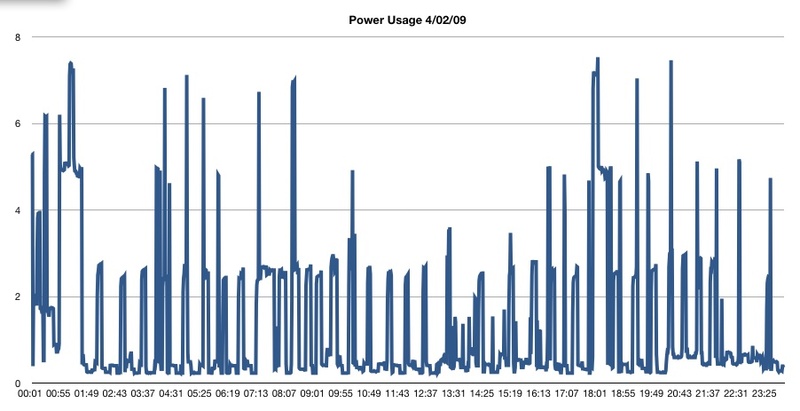 So, here’s my power usage for the 2nd of April. The smaller spikes to about 2.5KW are the heat pump. The larger hits are the water heater.